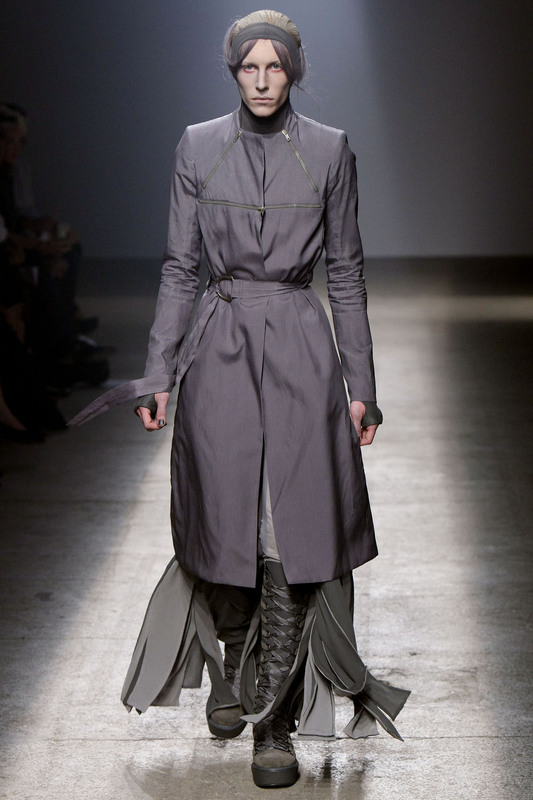 I approve of this Gareth Pugh fellow. I hereby decree that everyone wear gigantic winged headgear at all times. Get to it. Also I note that these boots and I will be very happy together, just as soon as someone tells me where I can buy them. Why is there not a "buy" link on this page? Commerce, people! Look it up! I have tried using the "Get Info / Options / Volume Adjustment" slider manually on a few videos, but that is far too manual and annoying to do for all of them. Perhaps an approach would be to compute the volume boost desired of each movie, then set whatever ID3 tag corresponds to that slider? Or failing that, do it with Applescript? Update: I kinda got something working with Applescript here. It fails if any video requires a volume increase of more than 100% (~6dB), but I only have a few videos of which that is true. Helmet-cam video of being buried in an avalanche. This is one of the scariest things I've ever seen. Especially the weird choking noises that the audio turns in to just after burial. Apparently David Lynch does foley in hell. Even though we've run out of Future, it's important that we continue to strive to make Gibson's vision a reality.